The ‘Occupy’ movement is one of several in American history to be based on anarchist principles. For all of those that are stumbling around trying to understand what the Occupy Movement is all about, I offer the following article. Mr. Graeber has the clearest, most concise understanding I found yet. For those readers that believe they live in a Democracy and enjoy all the guaranteed rights and privileges of voting for their choice of elected leaders, I suggest they take a hard look at the truth. This is the link to the article: Occupy Wall Street’s anarchist roots – Or continue at the break. The complete article is printed below. Where are all the “Nation of Law” Americans? A recent article in Amnesty International’s Human Rights Now web log. 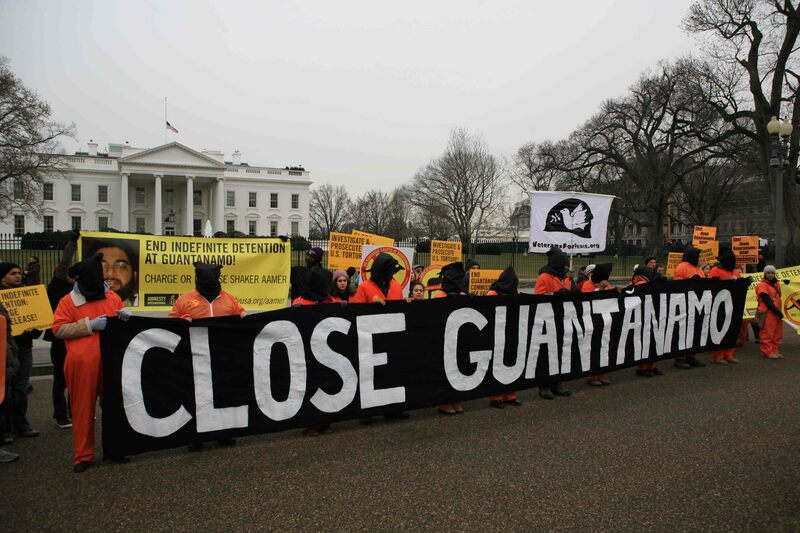 Kangaroos Storm DC to Close Guantanamo! Amnesty International UK and Amnesty USA are campaigning to resolve the case of Shaker Aamer, a former UK resident with a wife and children in London who has been held without charge for over 8 years. The UK government has asked for him back–UK Foreign Secretary William Hague even raised the case with US Secretary of State Hillary Clinton–but Shaker Aamer remains detained without charge and without explanation. We are calling on the US government to either charge Shaker Aamer with a crime and give him a fair trial in US federal court, or release him. You can help resolve this case and get us one step closer to closing Guantanamo by emailing Secretary Clinton and President Obama right now. makes me wonder about the real-world benefit of writing to the very people instigating and empowering these lawless atrocities. Maybe we should be talking with our neighbors that support these criminals. This Declaration was developed and presented to the other nation states by a group of white men as their moral basis and legal justification for rebelling against their rightful government. They assert that “Governments are instituted among men” by those they govern to “secure” certain “rights.” That because these governments are empowered by these same people to govern, the people, should the Government cause the destruction of these, “ it is the Right of the People to alter or to abolish” that Government and institute a new Government.” Some people believe that is what happens every four years in America when they can elect a new President. This is NOT what the Declaration Of Independence was about. It was about the very problem existing most noticeably in the past twenty years, even more striking in the last year, everything stays the same regardless the President or Party governing. When that group of men secured their new government one of the things they did was provide the means for the governed to address their governing representatives, or so everyone believed. They believe in their rights to peaceful protest and demonstration when all other methods fail to promote necessary changes. Changes may come, but they are mostly slow and laborious and not always what serves the people best. Many people justify this method of redress by the works and words of Mohandas (Mahatma) Gandhi and Martin Luther King. 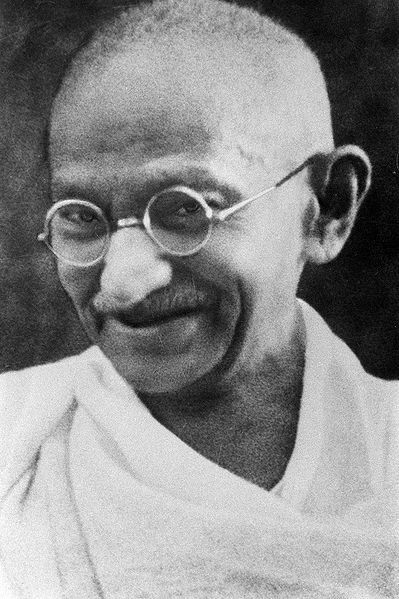 While he did advocate and use non-violence and peaceful resistance he also us non-cooperation considered non-violent activism. Non-cooperation is extremely effective when properly employed. It requires first, a mindset based upon a strict set of guiding principles and governing rules. This produces and inherent attitude that is self-manifesting of that reality or base way of thinking. When someone says something or advocates a position contrary to your beliefs you immediately resist, object and stop the automatic acceptance of the matter. You simply do not cooperate with their assertions of authority and legitimacy to promote themselves, their opinions, ideas or beliefs. They may have certain rights to those thoughts or beliefs, but they do not have the “unalienable Right” impose them on others. Specially, when they are trying to use those so-called rights to justify getting everyone to go along with their legitimate right to exist. For more on this same subject there was a good discussion between Omar Barghouti and Rabbi Arthur Waskow here. [http://www.democracynow.org/2010/3/4/bds] Both men were essentially in agreement, just with a different perspective. Ribbi Waskow, the older man, looked at the issue as it was in the past, compared the Omar Barghouti’s present day reality. 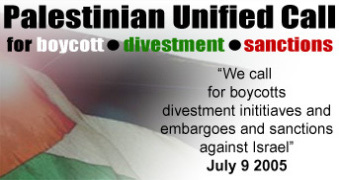 Personally, it’s been my judgment that the day for reconciling the two peoples with the Jew’s recognizing the Palestinians legitimate right to exist, specially with some sort of worthless two-state solution defined by the Jews and the US for the Palestinians, has long passed. Now, could it be that groups don’t have to receive this money, it’s just kind of insider Washington mentality, even if it’s in the rest of the world, like with the health insurance debate, that they accept the premises of the opposition and they don’t want to go outside of a very small range of what they can ask for, they just don’t believe they can get things done? JOHANN HARI: I think you’re absolutely right. That is part of it. It’s part of a political culture. Jim Hansen, great man, is not alone. Virtually everyone who doesn’t work for these corporate environmental groups, and a lot of people who do, can’t understand this behavior, except as a result of the combination of corruption and exactly what you say, a kind of dysfunctional political culture. And it’s had an amazing effect. All new coal power stations in Britain are under very serious political trouble. They probably won’t happen. And airport expansion, that was seen as absolutely dead cert, supported by all the main political parties, is now dead in the water. The model of compromise compromise, praise the Democrats, say how wonderful they are, even when they’re kicking you in the face, doesn’t work. The model of really directly taking to the streets, the way that change has always happened in America and in all of the world—Martin Luther King did not praise every peripatetic morsel that came from the Democratic Party. He called people to the streets, and they fought for it. And it took a long time. Tree climbs were only one part of the three-day KJC (Klamath Justice Coalition) training camp. There were discussions of the history and effectiveness of non-violent civil disobedience and demonstrations as well as diagrams of many ways to block a log road or a timber sale. One handout was ambitiously titled “198 Methods of Nonviolent Action” and it ranged from 1) Public Speeches to 30) Rude gestures to 173) Nonviolent obstruction. This was a monkey wrench grad school. The training was attended by members of Hupa, Karuk and Yurok tribes as well as many non-natives from neighboring communities. 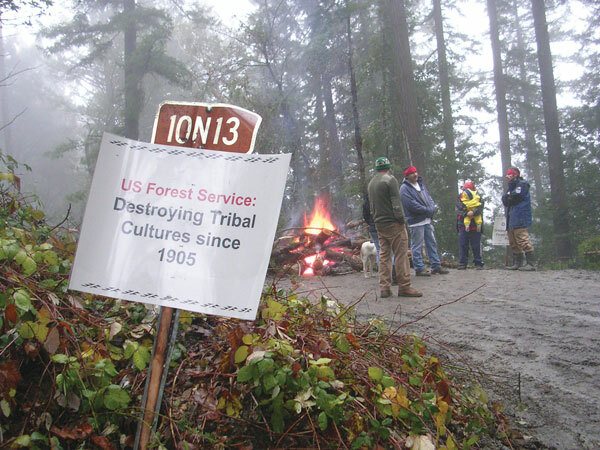 As an old logger that worked for years with local Indian loggers and someone that had first-hand dealings with how the Bureau of Indian Affairs worked with local timber companies to divest local tribes of their old growth Redwood timber lands, I have mixed feelings about what they are doing. Personally, it is the young people that continue to impress me with their ingenuity, resourcefulness and courage. Something their predecessors did not show. Nor did mine. Non-cooperation works! It all starts with yourself and your neighbor. This is a lesson NOT learned in British Columbia, The water war – Okanagan logging blockade. He hasn’t come to terms yet with the fact you can’t do business with a corrupt system.